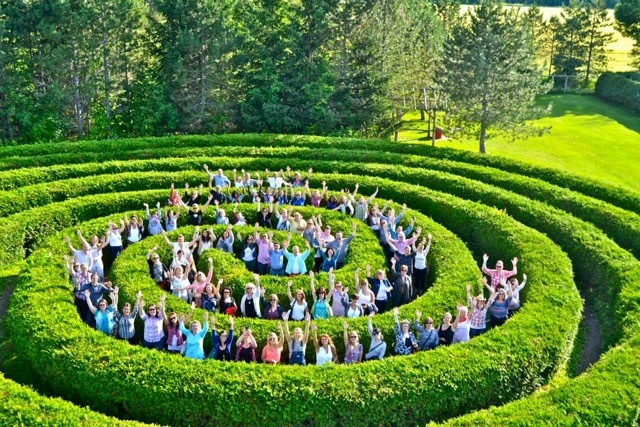 Farms all across Canada are becoming far more than just agricultural operations. Wineries, distilleries, restaurants, tours and haunted hayrides are some of the many things that you can find on farms today as farmers create businesses that work in synergy with their crops and their lifestyle. For Part 2 of this series, Farm to Table will be taking a look at two different agritourism operations, both that have been in operation for decades. One attracts visitors with its commitment to organic production and biodiversity, and the other is best known for its pumpkin festival and haunted house and hayrides. For Antony John, otherwise known as the Manic Organic, his venture into agritourism happened organically. Pun intended. These aspects help create a sustainable ecosystem, helping soil health, pollinator populations and reducing soil erosion naturally, all while using no pesticides. His techniques earned him the 2017 Farmer-Rancher Pollinator Conservation Award. Antony has been having visitors to come and see how he runs the farm for over 26 years, but he says he never had to seek them out. Instead, his techniques drove interest in his farm and people came to him. “We were getting requests from people, it wasn’t us going out looking for tours. As soon as people found out we were growing market garden vegetables organically and we have a biodiversity approach to the way we grow things, they wanted to see more,” said Antony. Antony is no stranger to that kind of attention. 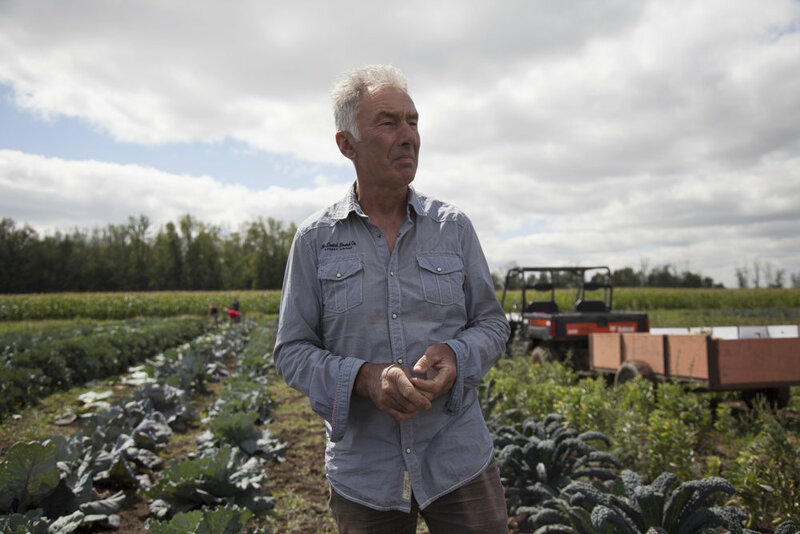 He was the host for the television show The Manic Organic, which followed him on the farm and took a look at the life of the vegetables he grows, from the time they are seeded to when they are being plated in some of the finest restaurants in Canada. A huge proponent of organic agriculture, Antony treats every visit to the farm as a learning opportunity, and enjoys educating visitors on the organic approach. Not only on the environmental benefits of organic agriculture, but also the financial. 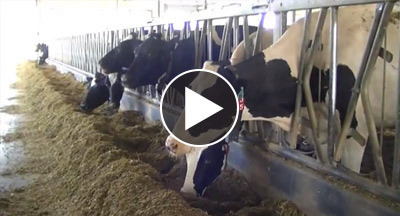 “It’s something that I believe needs to be presented as an alternative model to agriculture. Just as a rough calculation we grow about 20 acres of organic vegetables and salad greens. Those 20 acres generate about the equivalent growth income of a 500-acre cash crop operation, but I don’t need to buy a combine and I don’t need a tractor and a $350,000 corn planter,” said Antony. In regards to clientele, Soiled Reputation sells most of its vegetable straight to restaurants. But Antony says that about 30% of his revenue comes from agritourism if you include his farmers’ market stalls. The same customers come back week after week to his stalls, and Antony says that one of the things that helps him the most with marketing to people is something most farmers are probably overlooking: Cooking classes. “The classes gave me a skillset to go into a kitchen with my produce and say ‘This is what you can do with it,’. The extension of that was to be able to come up with recipes based off my cooking class for the vegetables that people might not be familiar with at the market table. I could hand them a recipe, providing the information they needed and I could talk them through it face-to-face. Once you build that trust and that confidence they’ll come back the next week and say ‘What else have you got that I haven’t eaten before?’ and through word of mouth it spreads out from there,” said Antony. Antony markets his farm with the same principles as a winery, using the concept of “terroire”. Wines across the world emphasize the uniqueness of their flavor that comes from a combination of factors such as climate, soil characteristics. Antony says that this is the best way to differentiate yourself so the customer knows they are getting something that they can get nowhere else. Saunders Farm was built on the principle that they would get the best value from their produce if they could get the customer to come to them. Over the years the farm has taken many different forms, but it always stuck to that idea. It started as a pick-your-own strawberry farm, where they would bring over busses full of school kids to learn about agriculture. They would provide lunches for them, and eventually realized that they had a talent for hosting as well as farming. From there the farm evolved to include a “Cut-your-own Christmas Tree” event in the winter, and they renovated a 150-year-old log barn into a canteen for people to stop by and get something to eat and drink after getting a tree. Mark Saunders, the current owner of Saunders Farm, can remember when his father first got very interested in agritourism. He’d heard a presentation from a farmer from Wisconsin on their haunted hayride and figured they could do the same. “It took a couple years to convince my mom, but after that we started and that was the beginning of us doing agritourism in a more concerted way. Now, 26 years later we don’t do strawberries anymore, we don’t do cut your own Christmas trees. 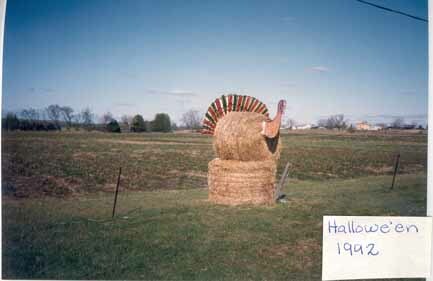 The Halloween festival and the pumpkin festival is about 70% of what we do on the farm,” said Mark. 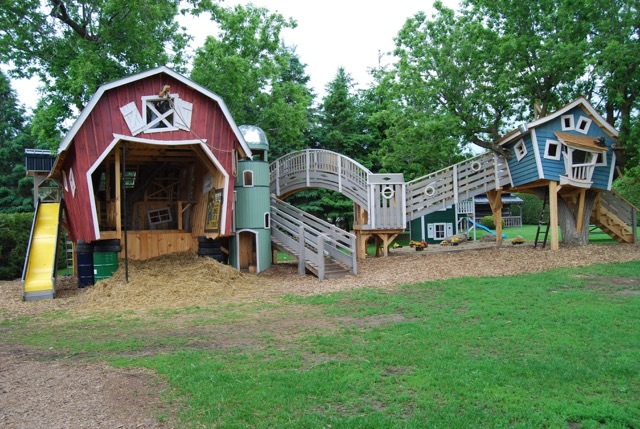 Saunders Farm boasts a huge amount of attractions for people to enjoy. They are best known for their famous Haunted Hay Ride, where families are brought along a trail full of terrifying displays and live actors that are sure to get your heart racing. While they have focus on Halloween with a pumpkin festival and a ton of frightening attractions, there’s plenty of other things to see including various mazes, wedding receptions, summer camp, farm fresh foods, zombie paintball and more. Mark Saunders is the second generation of Saunders to run the farm, and he’s watched as the farm has become a part of the community over the past several decades. “For a lot of people in the area, every year you come with your parents when you’re little, and then when you’re 13 or 14 you come with your friends. We have people who go away to school and they come back and they come down again, and then eventually if they stay in the area they come back with their kids. This is our 42nd year on the farm, so now we’ve had two generations of people who picked strawberries as kids who now bring their grandkids here,” said Mark. 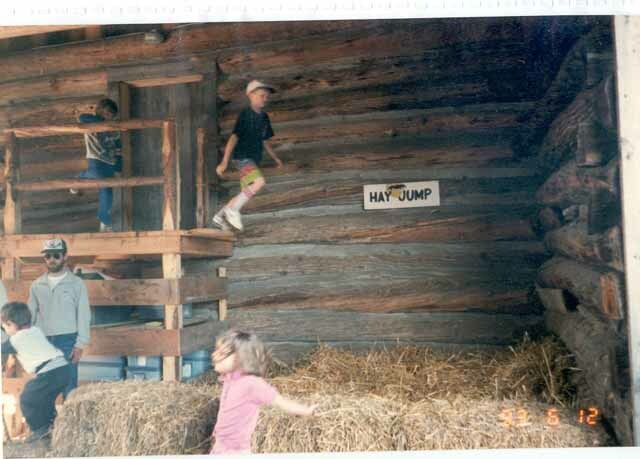 Being one of the oldest agritourism sites in Canada came with the responsibility to break ground, and Saunders Farm can definitely be seen as one of the pioneers of agritourism in Canada. There were many hurdles along the way as they changed how the community around them saw what a farm could actually be. “Some people in the municipality, out of ignorance of what we did and having never been here, thought that we were going to turn ourselves into a drug-induced music festival, leaving beer bottles and needles along the side of the road,” said Mark. Mark says that the key to success in agritourism is to always be looking for what’s next and for ways to diversify, as well as being creative in the ways you draw in customers. He recalls one of his first forays into marketing the Pumpkin Festival and Haunted Hayride, when the family painted an old Volkswagon van bright orange with “Follow me to the Haunted Hayride!” written on the side and perched a couple monsters in the back seat. Every car that passed by asked what it was about, and the rest is history. Compare that to today where all of the marketing for Saunders Farm is done on digital platforms with targeted advertising. While the methods have changed, the principles remain the same. Mark believes that agritourism in many ways is changing the ways farms operate and allowing smaller operations to make bigger profits.